To celebrate the Year of the Pig, The Valley is hosting a massive Chinese New Year festival incorporating the best of traditional acts and cuisine. Entry will be FREE for this cultural event not to be missed. Download your e-ticket so your set to go for General Admission access to our Chinese New Year Celebration. Take your Chinese New Year experience to the next level and dine with us from one of our premium spaces. Enjoy not only Chinese New Year but a whole Summer of racing and exclusive Member benefits at The Valley. Be treated to an evening of traditional Chinese cultural entertainment. 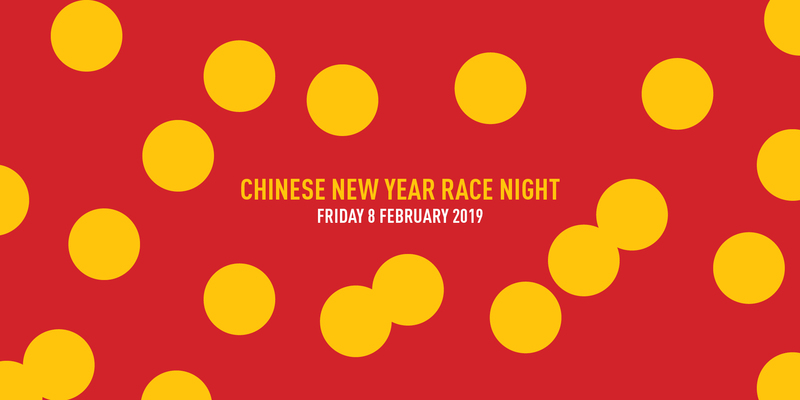 Lion Dancers, Dragon Dance, Chinese Drummers, God's of Fortune, Chinese Fan Dancers, the Chinese Long Sleeve Dance and a performance from the Shaolin Monk Flashmob make it the ultimate Chinese New Year event. All performances will be on the main stage on the main racecourse lawn. Famous for its delicious food, the best of Asian Cuisine will be on offer with Dum & Dumpling, Nem n Nem, Roti Road and Lankan Feast. Learn how to do Chinese Brush Painting with a professional. Learn this time honoured art form in a 20 minute class. Immerse yourself in Chinese culture, learning a new and unique art form. All materials are supplied for your 20 minute course. Commentator Jamie Pi will call one race live over the PA in Mandarin. Check out the RMIT Flight Simulator in the activity space and immerse yourself in being in a real life airplane. Thanks to Sunrice, we'll be giving away 1000x 1 kilogram bags of rice to bring prosperity for the year ahead. Symbolizing good luck, we will be giving away red packets to the crowd to celebrate the Year of the Pig. Come down and test your football skills at the Melbourne City inflatable pitch. Challenge your mate one on one or get some friends together. You'll be greeted by Stilt Walkers and Roller Skaters who will be walking around the racecourse surrounds. The Australian Chinese Jockey Club invite you to join them in celebrating the Year of the Pig at the official ACJC Spring Banquet Dinner. Located in The Celebrity Room from 6.00pm until 10.30pm, enjoy an evening of splendid cultural entertainment and Chinese cuisine.